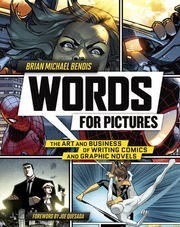 "Words for Pictures" it doesn't get much clearer than the title of Brian Michael Bendis' new exposition on the art of making comics. 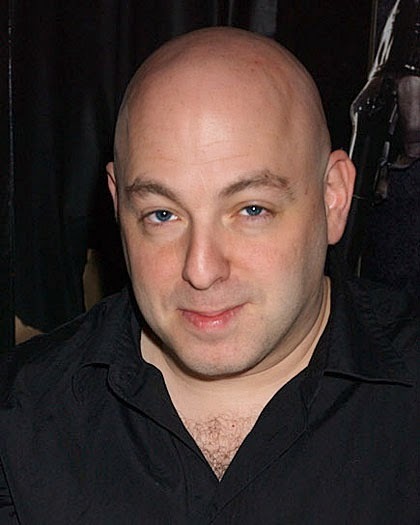 Bendis is a best selling comic book writer and a tour-de-force behind some of Marvels most iconic characters. He is a multi-Eisner award winning author. So when it comes to knowing a little something to the comic business, I feel we can probably trust him on this.Words for Pictures is fulsome of how this master of the craft has cracked the comics business. This book focuses on a writers is point of view, but is well balanced with the multi-faceted collaborative partners required to make a full comic come to life. While it isn't a how-to-create-comics like Brian Bendis treatise, Words for Picture does provide valuable insight into how to mould your craft using insider information and lessons learned over a continuous career in the comics industry. It is also noted very early on that the lessons in this book are built on a solid foundation of trial and error. In fact the forward by Joe Quesada is explicit that "if your not falling, your not trying hard enough". However, it is Bendis' early life lessons that come to the fore, as the reason why he has written Words for Pictures. There wasn't anything like this accessible when Bendis was beginning out, so he feels the need to help the next generation of aspirational comic writers here. To compliment the wonderful guide provided, there are an array of helpful real script pages from various artist known to Bendis. It showcases art in progressive states from pencils to finished product and even a full chapter on the business side of the comics process. This finished product is glossy and extremely easy to read. This makes the appeal much broader as a result. The great honesty in the approach taken by Bendis in exploring how to write and make comics is refreshing. Their is no show-boating, just a down to earth 'this is how to do it' mentality. It is clear that the teacher in Bendis is on display, perhaps the university classes he takes on the subject have helped hone how to aim at even a novice like me. If you have even an inkling that you would want to get into the comic writing business, this is a must read for you. There are a great many How-To books on the subject, from many outstanding authors. However, for a creator at the top of his game and still going strong, this has weight and substance to back up the content easily. Words for Pictures is a highly worthwhile read for writers, artists and fans alike. I know I enjoyed it, but what did you think? Have you read this yet? Leave your thoughts below or even suggestions for other comic writing help material.